The singer isn’t afraid to take chances. 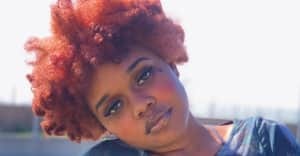 Jamaican singer Amindi K. Fro$t may talk and look like she comes from an American family with a longstanding history in this country but there are other influences at play with her music and her everyday life. As a first generation immigrant, she's dealing with the high standards and expected norms placed on her by her parents in her own way. In the new FADER mini-doc, Fro$t explains how making music is her form of self-healing. She also talks about her strong roots in Hawthorne, California which is complemented by her appearance on a panel at the Dolce Far Niente exhibition from photographer Jheyda McGarrell of Art Hoe Collective. Other members of the panel included Halle Alice, Corey Wash, and Samone Kidane. As she embarks on a new journey of adulthood, Fro$t stays hopeful that everything will pan out for her. Watch the full mini-doc above. Listen to Amindi K. Fro$t's last single "riesling"